BABRA, on their maiden trip to India, treated music aficionados of the city to some South Slavs heritage, last Friday. 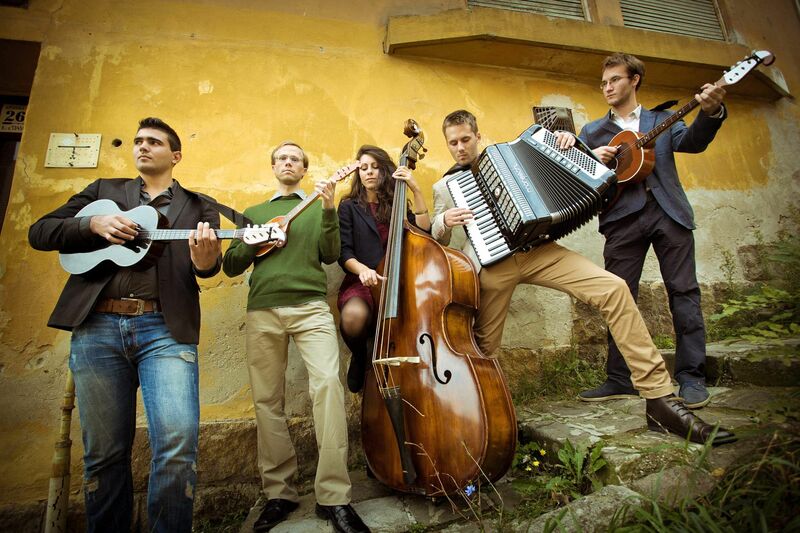 The Hungarian band is rooted to the music of the sub group of Slavics settled along the banks of River Danube, and inspired by Balkan culture. In their 20s, the five-member band brought to the fore the harmony of the tambour, the clarinet and the accordion. Varga Veronika, the lead singer of the band, had a candid chat with us at Mohor Kunj. 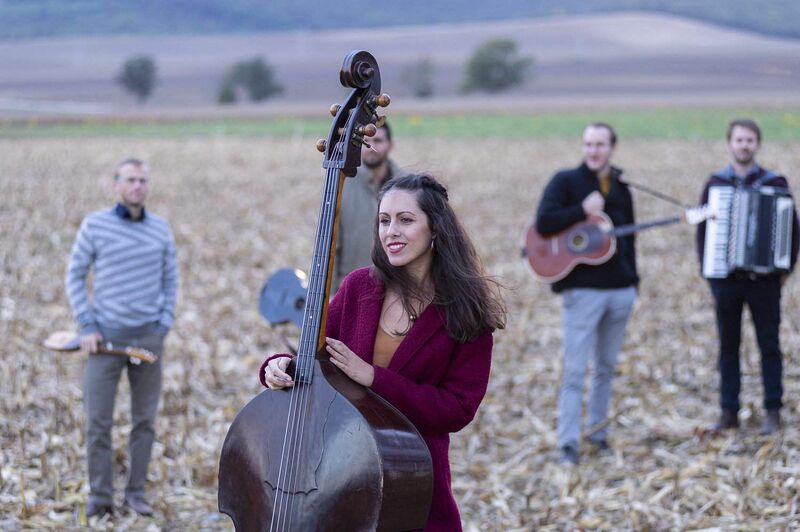 Babra is a young band that was formed in 2014 with four other members — Babcsan Bence on saxophone, Pozsonyi David on darbuka, Koller Daniel on tambura, and Reti Benedek on accordion. “We all met at the Music Academy of Budapest. While I was studying Hungarian traditional music, the guys concentrated on their own musical instruments. We all used to play our own music until 2014, when we formed Babra,” recalls Veronika, who switched to double bass from violin. What does Babra mean, we ask, and ‘nothing’ was the prompt reply, followed by a smile. Eventually, the singer revealed that it is a colloquial word used in everyday parlance back home. Ask her about why she switched to double bass from the violin and she has an interesting story to share. “We had an orchestra in the school and its conductor, who was also a double bass player, was like a father figure to us. He was on the verge of losing his job, so a group of friends and I joined his class and started learning the instr ument from him,” says Veronika, who believes that it was one of the best decisions of her life. She describes the South Slavs heritage as interesting and colourful. “The culture in the southern part of Hungary is a mixed one, thanks to the Croatian and Serbian minorities settled in the region. Their music and language are very colourful and interesting, and it’s important to point out that David is from the community. We mostly play Balkan music and it consists of popular folklores that are mostly about short love stories,” informs Veronika, who points out that they rarely play Hungarian music, owing to the character of the instruments that they play. When we asked about Babra’s first tour in India, she fell short of words. “It’s hard to explain. For me, it’s unbelievable. We mostly perform in Europe, so this part of the world is very different from what we have experienced till now,” said the vocalist, adding that they had not researched anything about India or Kolkata or its music beforehand, because they wanted to experience the culture on their own. When they return to Hungary, Babra will launch their first eponymous album, signs off Veronica, with a bright smile.